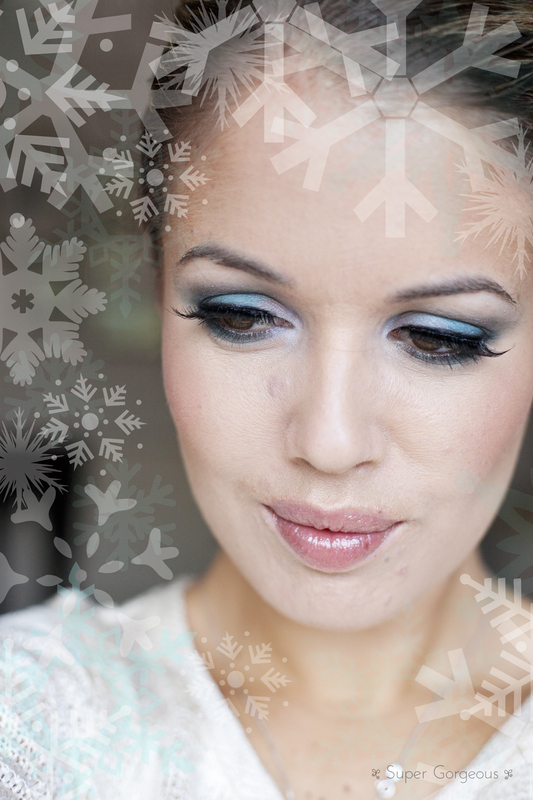 Last week I attended the launch of Avon's new range - the Arctic Goddess Collection. It was in the penthouse suite of the Mayfair hotel, with the most stunning views of London. Alesha Dixon, who is the brand ambassador for Avon, was there, and Pixiwoo, who I got to have a lovely chat with - it was a fab event. The Arctic Goddess collection has focused on the icy blue and green tones it spotted on the A/W catwalks - there were lots of chilly inspired things there - like the ice sculpture housing the 3 new nail polishes! I got to take home some pieces from the new collection - the Arctic Goddess Eyeshadow Quad, Pink Icicle Ultra Colour Rich Brilliance Lip gloss, and the three nail polishes - Chilling, Arctic Waters, and Green Goddess. 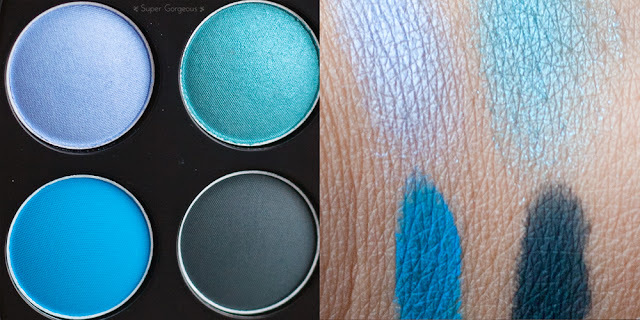 The eyeshadows feature two light, icy, shimmery tones, and two matte bold cool colours. The top left colour is a silvery lavender colour, the right is a silvery aqua. The bottom left is a turquoise which packs a lot of punch, and the right is a dark grey. The shimmery colours need a couple of applications to give a strong colour, the matte shadows are extremely pigmented. I would never, in a trillion years, think to wear blue eyeshadow. I normally steer clear of blues, for no reason other than the fact I've never been drawn to them - but after trying these ones to take photos for this blog post - my mind has definitely been opened! In the photo above, I am also wearing the lipgloss, Pink Icicle. 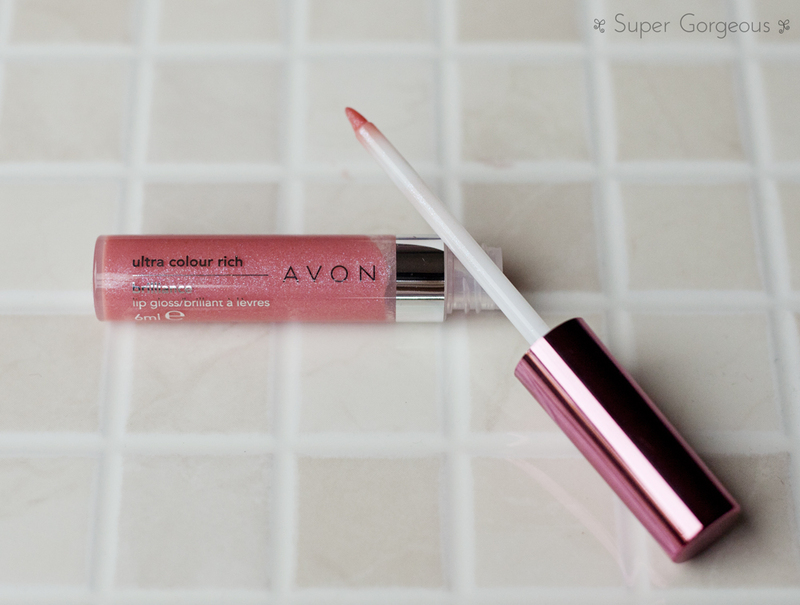 It comes with a small lip brush applicator and is quite a thin formula - it feels quite slippery on the lips rather than sticky and doesn't have a flavour. 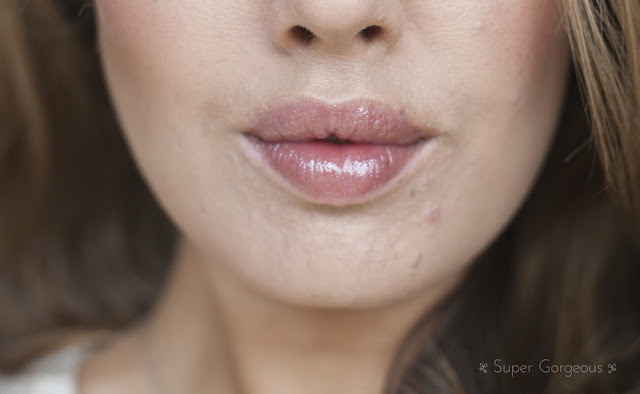 It has lots of teeny pieces of glitter in it that look golden, silver, blue and pink, so it's quite shimmery and leaves the lips looking very glossy and full. 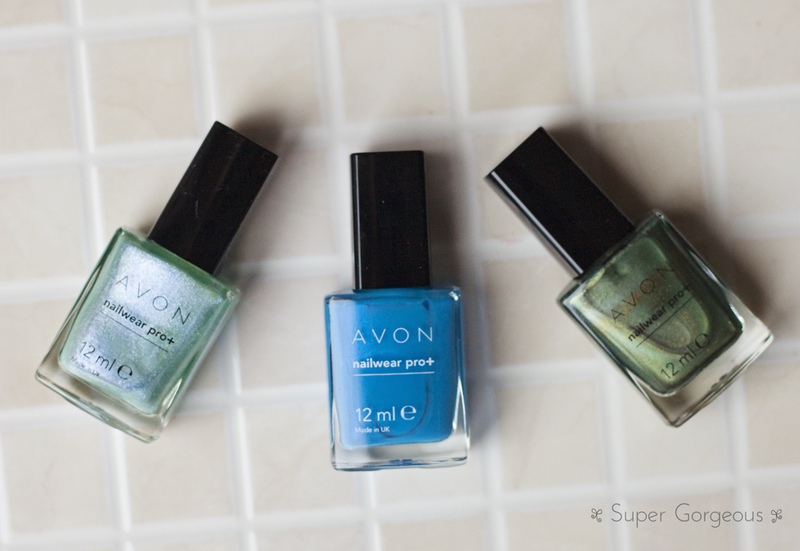 The three nail polishes from left to right, are Charming, Arctic Waters and Green Goddess. I have Shellac on at the moment, so can't show you what they look like on my nails - but expect nails of the day featuring these, shortly. Charming and Green Goddess are very frosty looking in the bottle, and all three shades have some iridescence to them. I particularly love the look of Arctic Waters - it looks like the perfect turquoise with a hint of pearl. Green Goddess looks like it will be very multi-tonal, and similar to a certain Chanel colour. 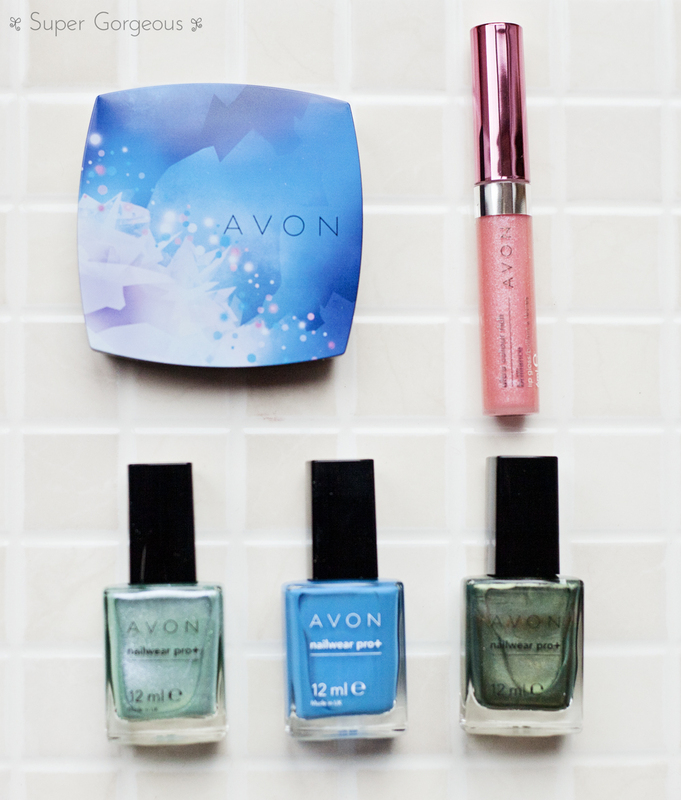 This is the first time I have tried Avon make up, and have been very impressed! 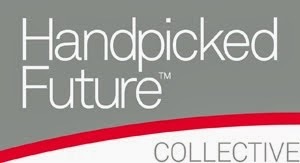 The range launches in November, with prices starting from as litte as £6. Oh God, those matte eyeshadows within the palette look amazing!!! I definitely LOVE the eyeshadow palette! The blues are fantastic! You look amazing with the blue. Def not a colour most people can pull off!